This is the most comprehensive guide ever written - guaranteed. Web scraping is the secret method businesses use to find hidden leads, create amazing﻿, ﻿viral﻿ content, and build multi-million dollar ﻿brands﻿. 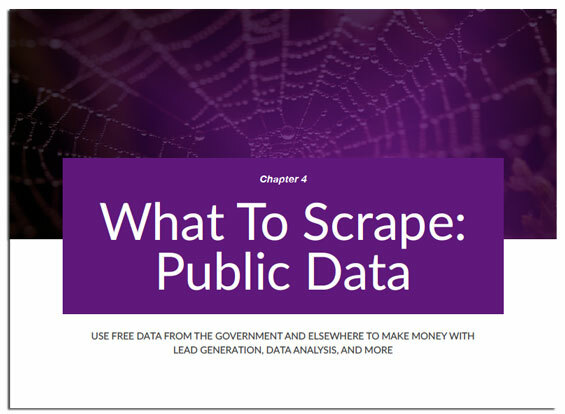 Learn how you can use scraping - aka data mining, web research, and automated crawling - in any niche or business - with this ebook. Web scrapers share their work so you can look "over the shoulder" of professionals. Detailed instructions tell you exactly how to turn scraped content into money-making websites and products. 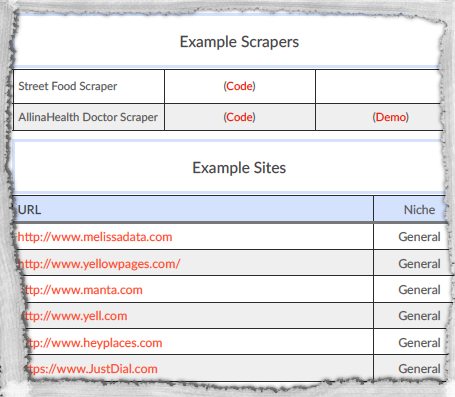 No matter what niche you're in, you can increase your profits by using web scraping! 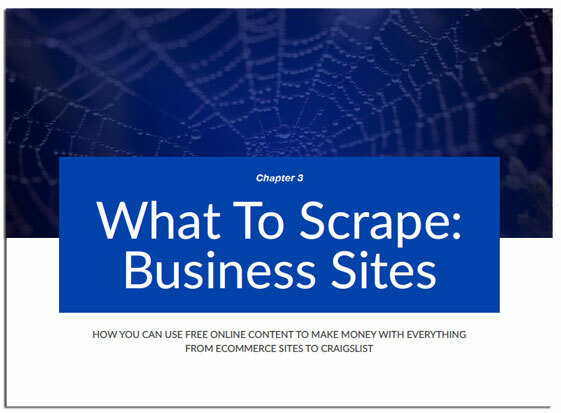 This is the FIRST AND ONLY eBook to explain HOW ANYONE can use web scraping today in their online business! ​You Will Learn It All Inside. 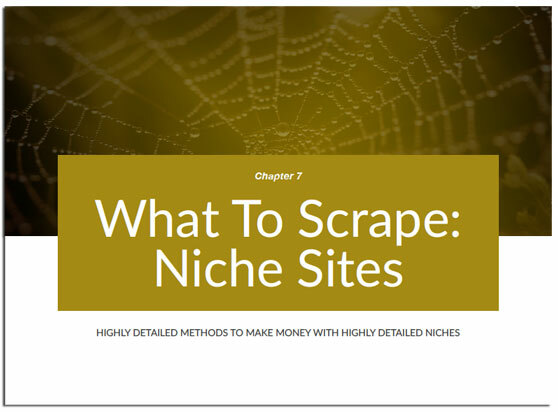 Inside you'll find over 150 websites used by actual scrapers, organized by niche, so you can start immediately! 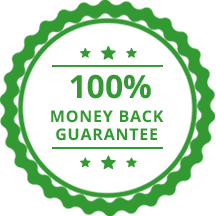 Specially-collected and organized list of 687 ﻿freelance﻿ scraping jobs﻿﻿﻿﻿﻿﻿﻿ worth $50,000 gives you EXTRA ideas! Share your thoughts and questions with professionals and learn from others in a Private Facebook Group. Over 500 Members! Learn EXACTLY what sort of data you can scrape with sample spreadsheets organized just for you to get started. And Unlike Most Methods...This eBook Will Teach You Skills You Can Use Forever! Web Scraping Will ALWAYS Help: Unlike most "make money" methods, web scraping has been around for decades and isn't going away! 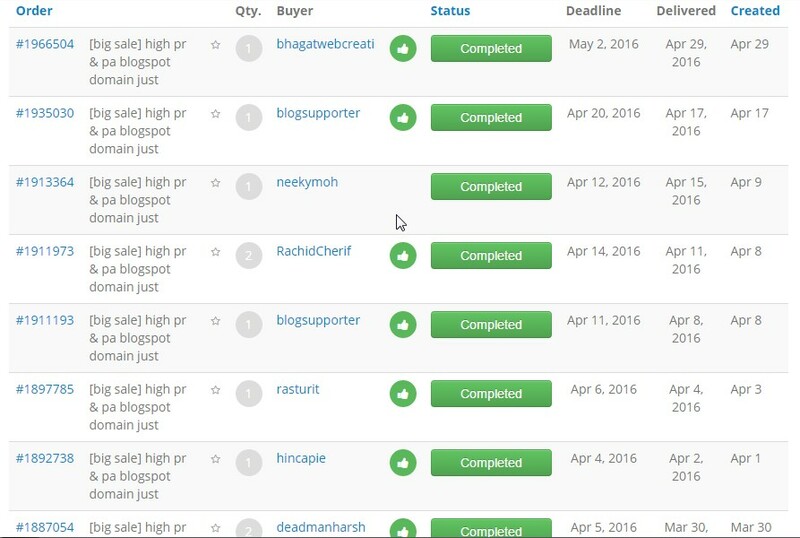 Includes 20+ Detailed Methods To Make Money Using Scraped Content: No matter your experience level, you will learn how to put one of these methods to use in your business! 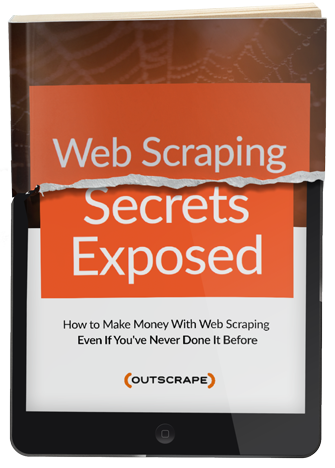 Over 50 Images Show You How: This eBook includes over 50 pictures to help you understand EXACTLY how web scraping works! 150+ Real Websites Scrapers Use: Over 150 websites that scrapers have used to find content are inside, organized neatly! Includes Scraping Software: Links to actual free software and code to scrape sites is included, as well as suggestions on software anyone can use! This book has opened my eyes on scraping data in certain industries and starting a new business! 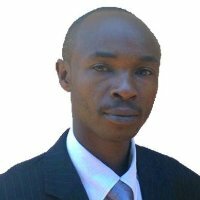 Being a web marketer for almost 20 years, data has always been my best friend. I've been scraping for years for my personal benefit and never thought of scraping for others. This book has opened my eyes on scraping data in certain industries and starting a new business! 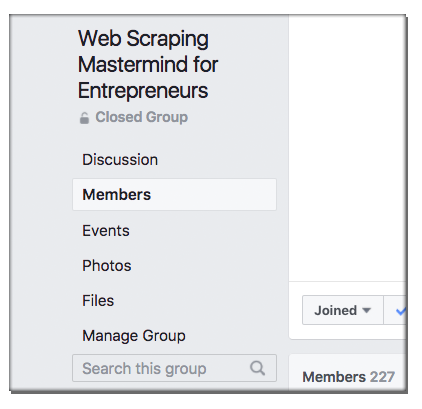 Join the FB group as I document my new scraping venture and post tips using the Outscrape tool!I'd definitely recommend Outscrape to a friend, if any of them were as a big data nerd as myself. The thing I most liked about this book is that there was a lot of information on what data to scrape and how to use the scraped data to create your own product from it, or the ideas to whom you could possible try to sell the scraped data. 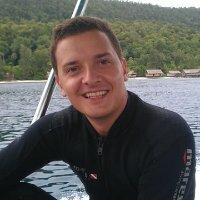 I use scraping to find expired domains and sell them. I use web scraping to find "Expired Web 2.0 sites" with high MOZ metric...then I register them and sell on Fiverr & SeoClerks. 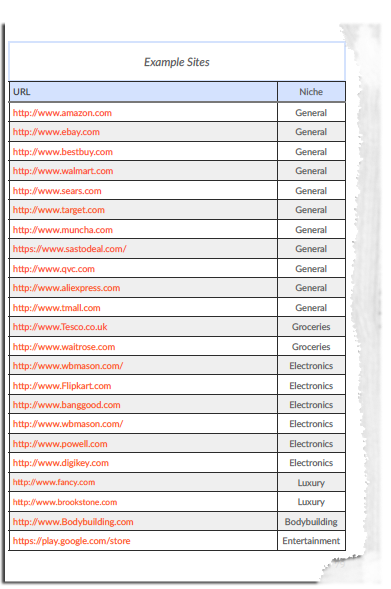 I have successfully found & registered approximately 15,000 Expired Web 2.0 sites!" See some sample sales data by clicking my "Freelance" link. 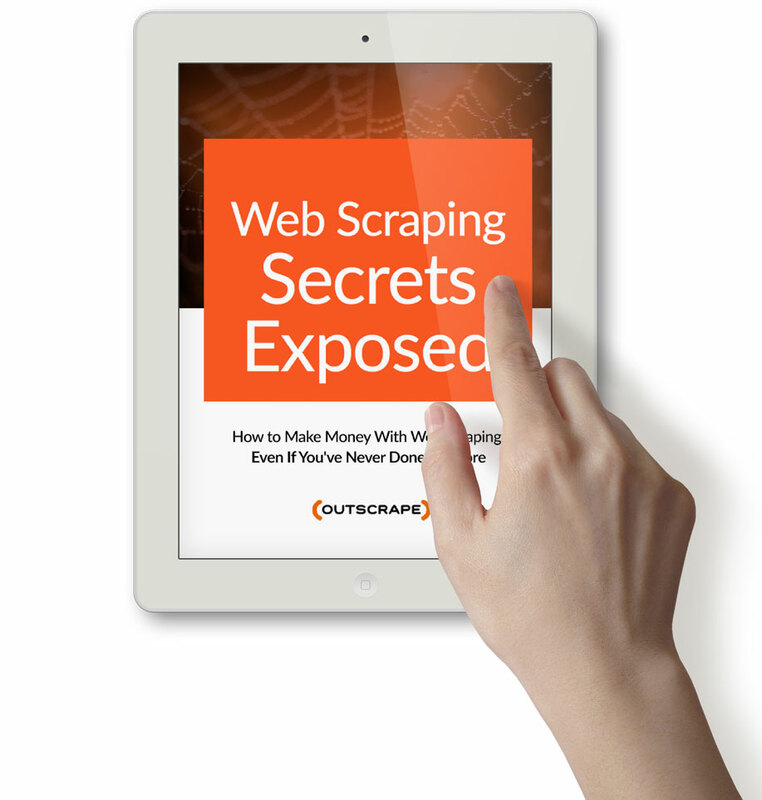 Web Scraping Secrets Exposed is very detailed and does a great job laying out the different reasons for scraping the web and the different legitimate uses of scraped web data....Being knowledgeable and having the ability to get whatever data is required to have the ability to dominate your niche is more important now than ever. Market research has been a cornerstone of my business tactics for almost 20 years. He does a good job with his book and there is good information in there that I didn't know aboutThis book is a great place to start for any beginner, It also contains a great deal of more in-depth knowledge for the experienced scraper. I quickly read it when I first received it, but have gone back a couple of times since to go more in depth into the different links and tools that he mentioned. setting up an analytics company - the book will definitely contribute to the agenda. 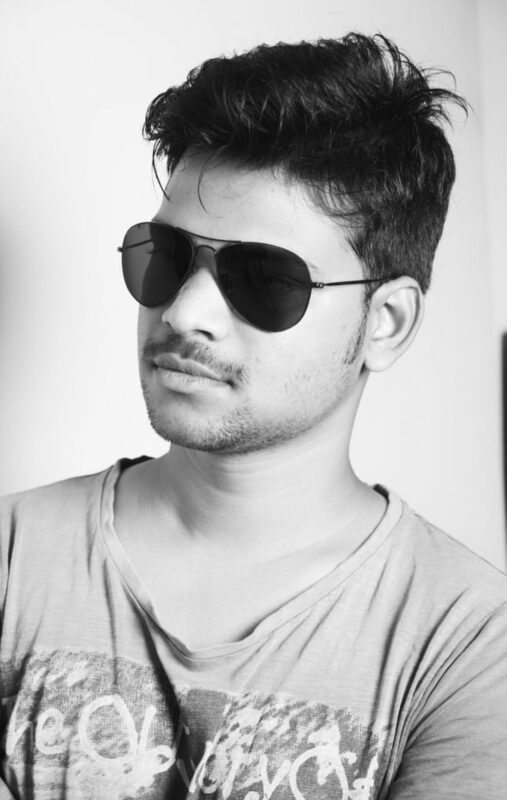 I would recommend to my friends who are interested in web scraping. 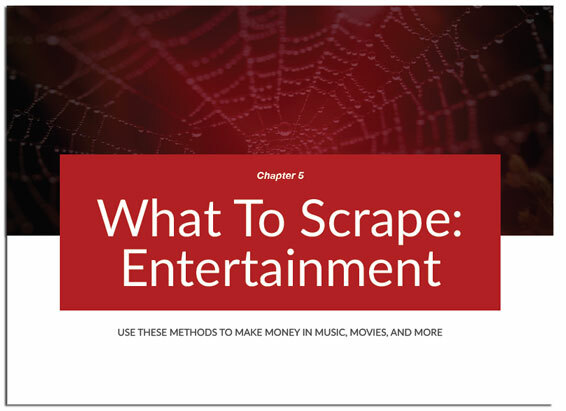 I have wondered about scraping and after read your book, i would like to find more about how to make money from scraping. I learned the amount of ways scraping the web can be done! 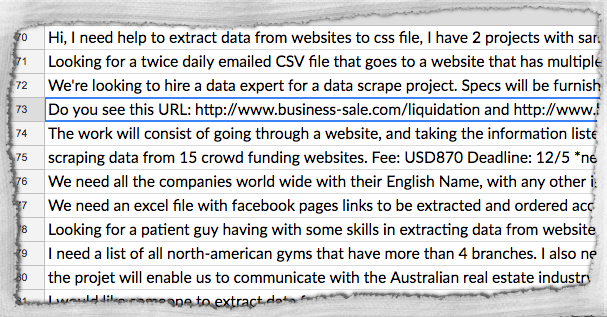 I use web scraping to make easy freelance money. 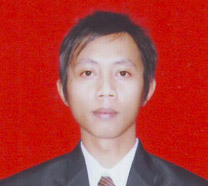 I am working as a freelancer mainly doing web scrape jobs...Most clients pay $50 to $80. 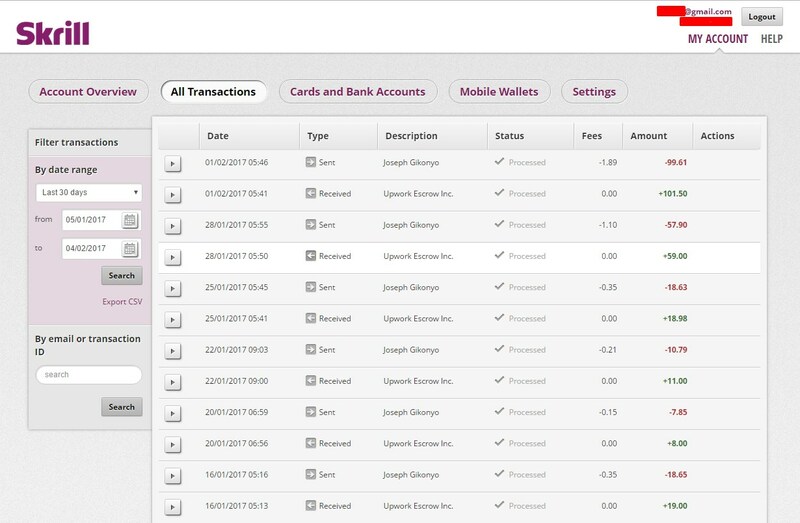 I shared my recent earnings, see by clicking the "freelance" link. Are you ready to turn your curiosity into cash? 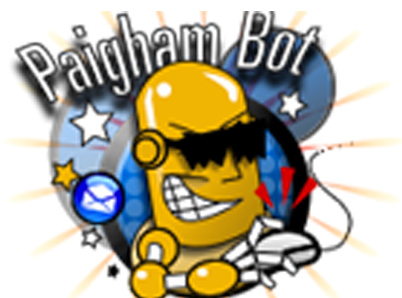 Are ready to get ALL the web scraping info you need in one place! I guarantee you will find at least one method you can use to make money if you read this book. I spent six months putting it and the bonuses together, and I will refund you the cost of your purchase within 30 days if you don't find something here you can use! I've been scraping the web for over a decade. Not only that, but I've talked to hundreds of web scrapers! 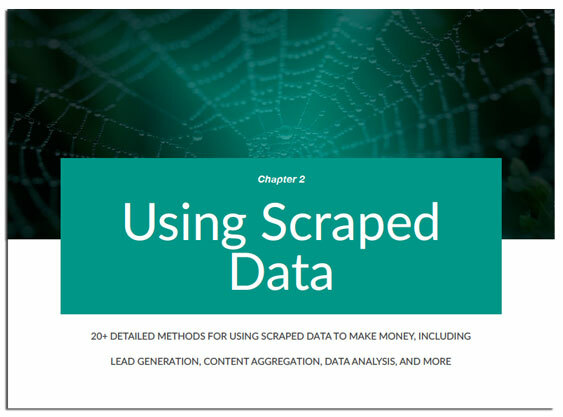 As a marketer for a web automation company I've heard hundreds of web scraping ideas and success stories and combined that knowledge and experience with interviews and research to produce the ONLY book about HOW to use web scraping to make money. No matter who you are, what niche you use, or if you know anything about programming or web scraping, this is the best place to get started. 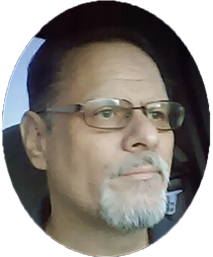 "I've included everything I can think of to help you get started. Don't wait any longer to take action." Use Your Coupon And Save! Don't Forget: Enter your special coupon to buy before your deal ends and save! What if I don't know how to program or scrape? Don't worry. This book doesn't require ANY programming. 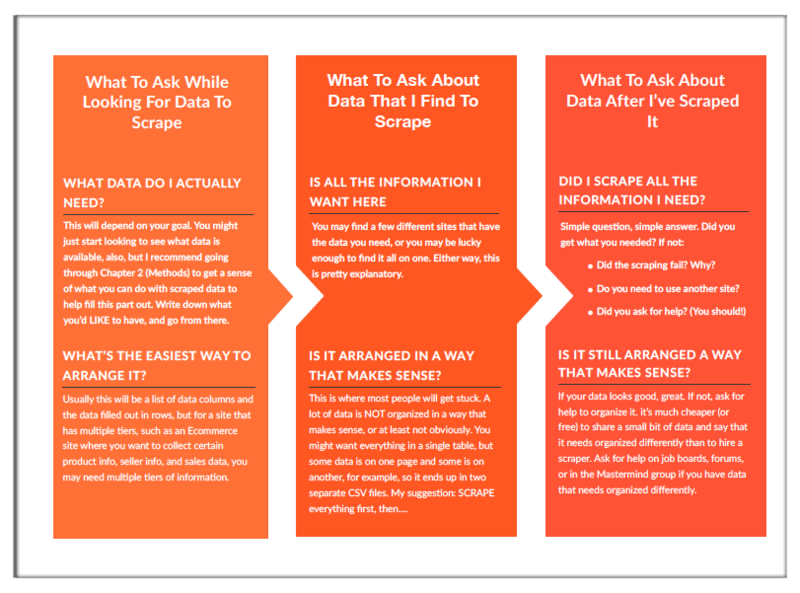 You can use this information to get started with web scraping even if you don't ever want to learn anything about coding or HTML! Clicking the Buy Now button will take you to the checkout page where you will choose to pay via Paypal or with a credit card (via Stripe). 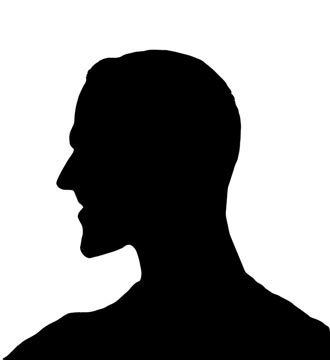 After your purchase, you will immediately be sent to the page with your special unique copy of the book in PDF format, and you will receive information on joining the Mastermind. Fulfillment is completed by E-Junkie. Forever! Just be sure to download your copy as soon as you buy, because the download link will expire after 5 days. Just contact me within 30 days of purchasing this book and I will refund you 100% of your sale. Why should I buy this book instead of another? 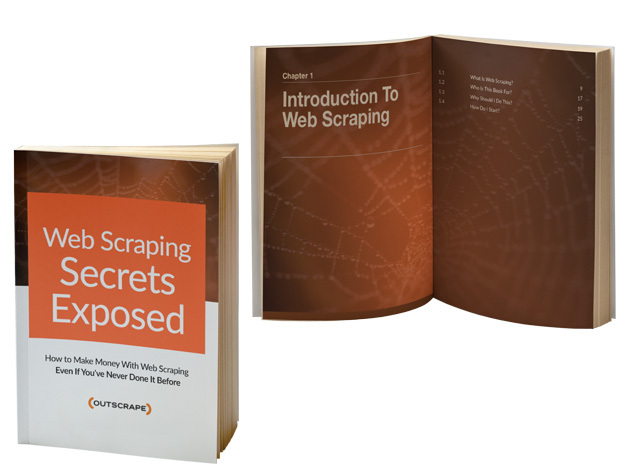 Simply put: This is the ONLY book that tells you WHY and HOW you can use web scraping! Simply click ﻿here﻿ to contact me by signing up for your ﻿free sample of the book. Then reply to the email! 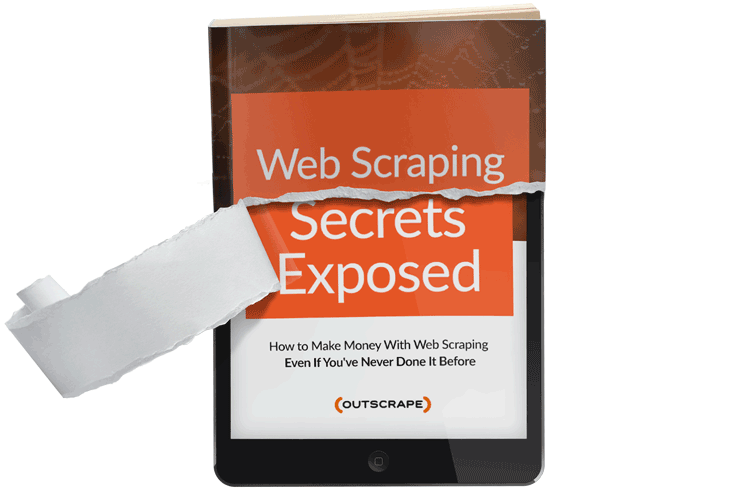 Don't Be Left Behind: Get Web Scraping Secrets Exposed Today! Use Your Coupon On The Checkout Page! Still Not Ready? Grab The ﻿First﻿ Chapter Free! After years of helping others do web scraping, I had so much information that once I started writing this eBook it just fell out onto the page and I ended up with 165 pages. Below is a sample of the kind of info you'll get from the FREE download. This is something I learned about helping people find and scrape data: they often do more work than they need to because they aren't prepared. 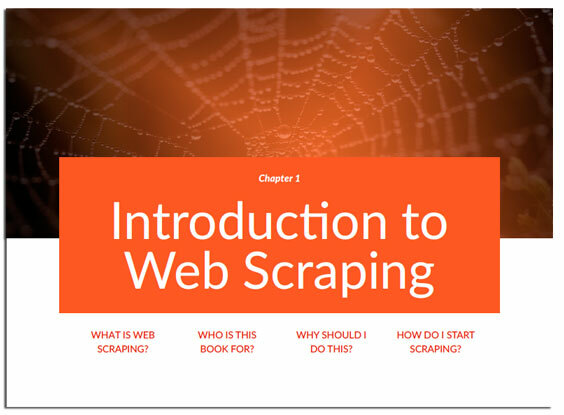 This book will not only help you learn how to do web scraping, it will also teach you how to do it effectively. Sign up for the email list ﻿by clicking here﻿. 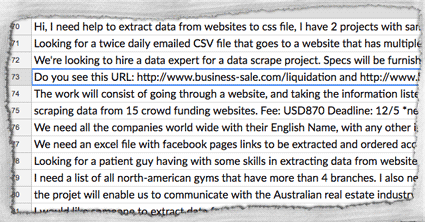 Grab a copy of my scraping software here. Read more free content on the blog. T﻿o join ﻿﻿the affiliate program, click here. 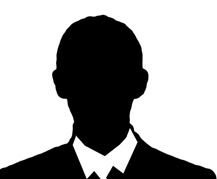 2% of ALL sales of Web Scraping Secrets Exposed benefit The Last Mile, a nonprofit that teaches coding and entrepreneurial skills to model prisoners preparing for their return to society (currently operating in San Quentin prison). Visit https://thelastmile.org for more info. The Last Mile is a program of Turn 2 U, Inc., a 501(c)(3) (Fed ID# 46-2899930). Enter your email and I'll send you it all, free! Your email address will be safe. Email will come immediately from [email protected] with your free sample. Yahoo/Gmail: You may need to check the "Promotions" or "Spam" folders.